Spark trails of joy as you decide to wear this gorgeous Aqua Love Designer Short Tunic Top for Fashion Lovers and scroll through the day. 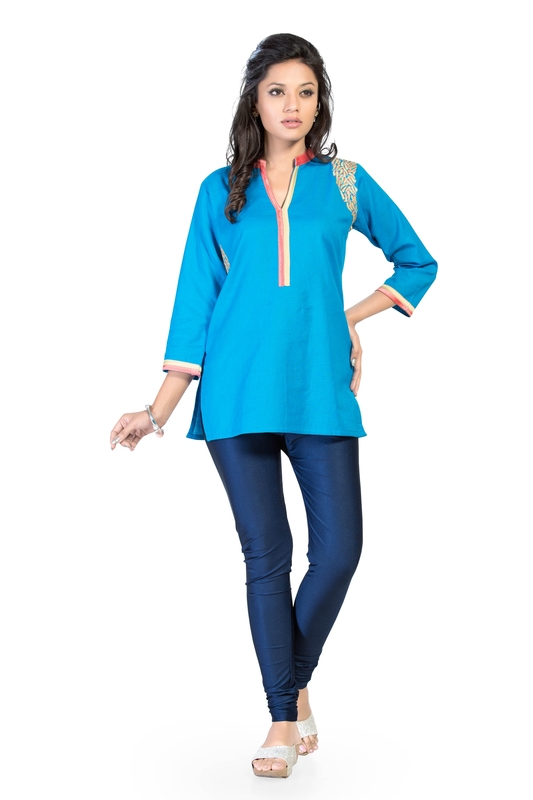 This kurta is a short length top with a Chinese collar neck line tapped with red and yellow on either sides. Similar double taping lines the edges of the sleeves that run three quarters of the total length. 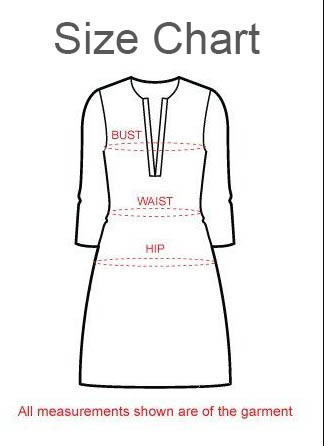 A picturesque embroidery design covers a shoulder on one side of the tunic providing the designer touch to it.